1,452 sq ft; lot: 11761 sq ft - MLS# 1618394 Courtesy of Mel Wendt Realty, Inc.
Make yourself at home in this well maintained 4 BR Cape Cod at Wind Lake! Vinyl sided exterior. Spacious Kitchen. 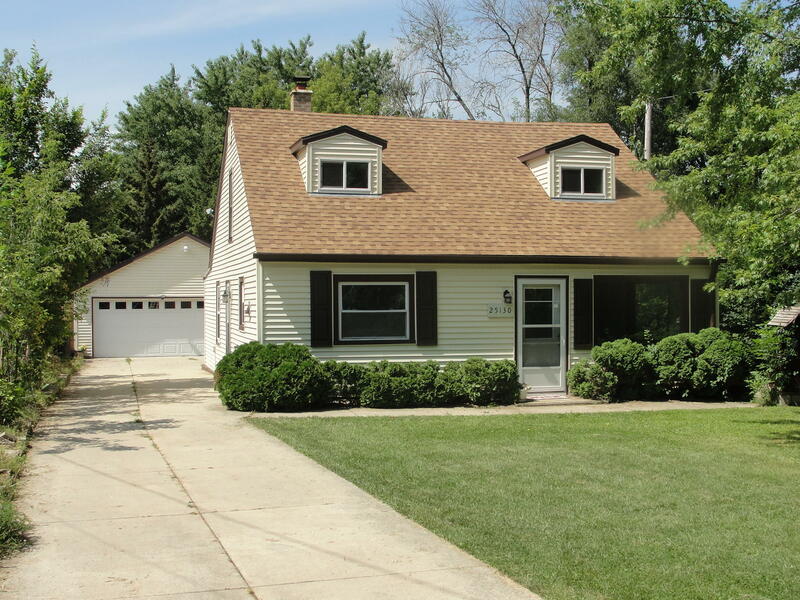 Large oversized 2.5 car detached garage. Paved drive. Patio, fenced garden area, and garden shed. Dimensions and square footage are approximate - Buyers to verify. Courtesy of Mel Wendt Realty, Inc.